Complex? Complicated? But they’re the same, right? 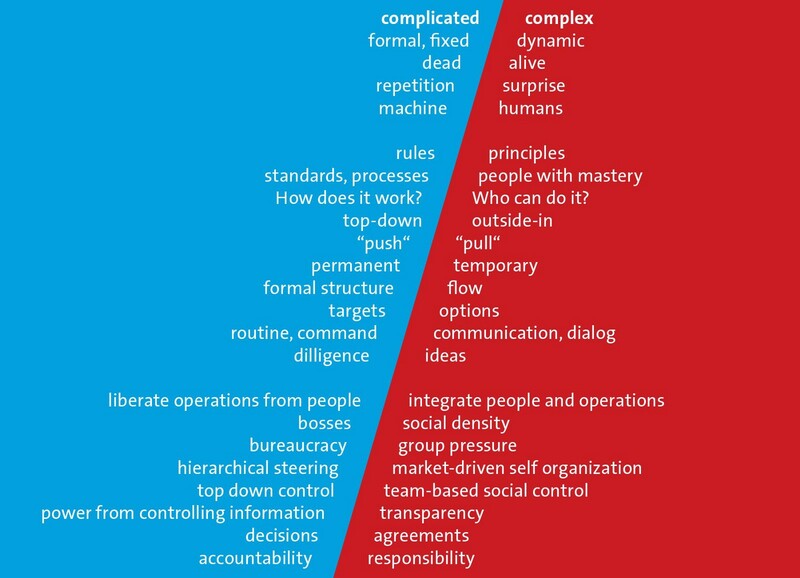 In order to distinguish between complex and complicated, the following example is often given. Chess is a Complicated game. While it is fiendishly difficult to play at a high level, there are no hidden surprises. The rules are rather simple, and deviating from them is not allowed. Sense — Analyse — Respond is a useful approach. 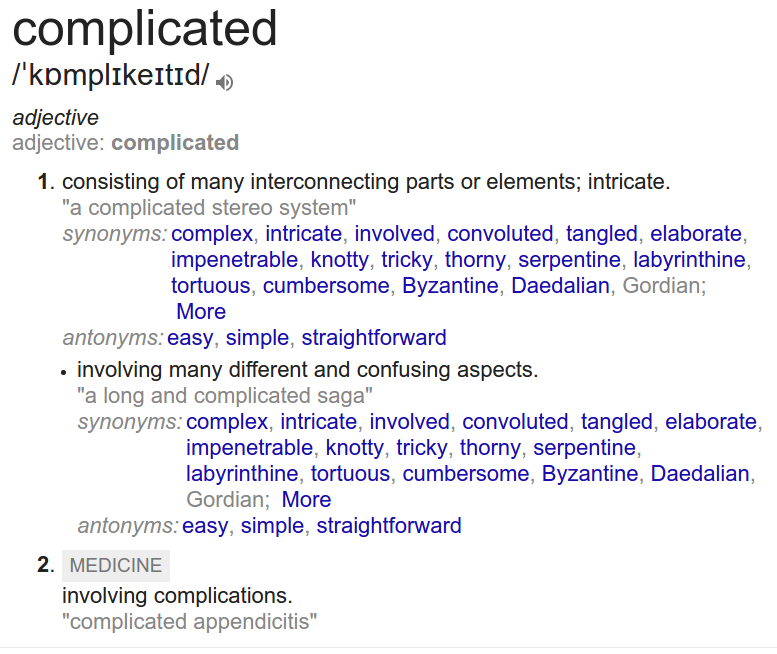 Sometimes, when I try to explain the difference between complicated and complex, especially when dealing with native English speakers who do not have an organisational or business background, I get the response ‘but aren’t they the same?’ This led me to look up the definition of both words, which you can simply do nowadays by typing ‘define complicated’ in a Google search box. Picture used with permission from Niels Pflaeging. So, when dealing with Complex problems vs. Complicated problems, we start using completely different words and ideas. While this may not be the complete picture, I see merit in it. 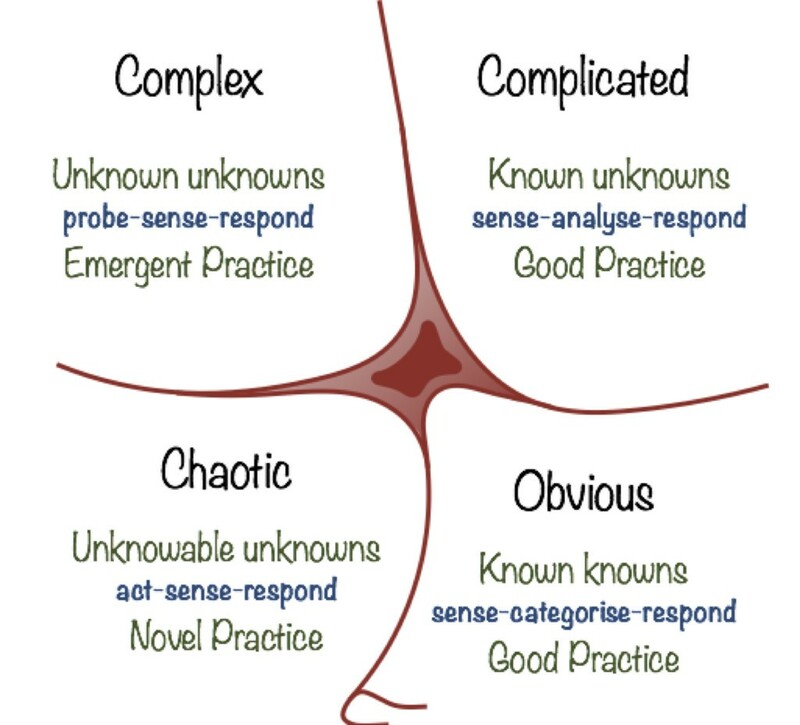 Once you’re used to this, the words Complicated and Complex start taking on the meaning as intended in Cynefin. Yet, for English speakers who have not been introduced to this not so subtle difference, it may seem silly to use these words and imply a difference in meaning. I know that some discussions have taken place (e.g., on Twitter) discussing exactly this issue, and that is good. But we need to take care not to be complacent about the use of these words, and dismiss anyone who isn’t aware of the intended difference in meaning.